Proudly Serving Alameda, Contra Costa, Marin, and Solano Counties! Advance reservation is required for all pick-ups! Stay updated on news, promotions and other important information. 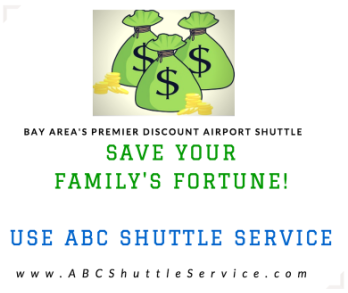 Who uses ABC Shuttle Service? Our passengers come from vast and diverse backgrounds. They include doctors, lawyers, business professionals, students and grandmothers. Our passengers are made up of folks who care about quality service, the convenience of going to the airport quickly and safely and of course getting a good value for their hard-earned money. Are these just some of the things you look for in an Airporter? Then.....! Book w/ ABC Shuttle Service today & let us amaze you! International travelers can use the popular cross-platform mobile messager "WhatsApp" to contact their driver as a substitute to a local US phone making communication at the airport supereasy! The phone number to contact us is available in your booking confirmation! ★Direct Shuttles to the Destination! ★All Tolls & Taxes Included in Price! 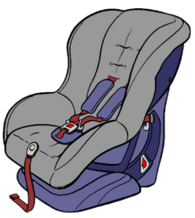 ★Convenient & Family Friendly Service! Make a reservation today and you will be amazed by the service you receive! "..This is the best shuttle service I've ever used...."
"Friendly and professional service with very reasonable prices"
"...They always picked him up on time and were always there on the return trip to take him back to the dorms..."
Available Upon Request Via Booking Widget! Note: Please be sure to book in advance for holidays due to high demand!